Once you’ve chosen your next car, Executive Honda assists you in taking the next steps towards driving home the Honda of your dreams. Our team of Honda financing specialists are trained to sort through various auto loan and lease details in order to help you find the right one for your needs. Once you’ve driven your new Honda Accord, Civic, CR-V, Pilot or Odyssey home, we will continue to support you. We want to ensure that you have a great ownership experience. To do this, we offer Honda service, with technicians who can perform routine maintenance like oil changes, or something a little more extensive, if needed. Plus, if you’re interested in completing the work yourself, we maintain a healthy stock of auto parts for you. As you can see, we are equipped to handle all of your automotive needs. 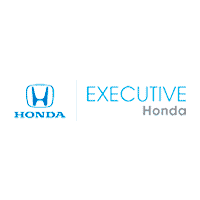 Contact Executive Honda today to see what we can do for you today by visiting us at our nearby Honda dealership.